A few weeks ago I blogged about my quest for validation. I’ve thought a lot about validation since then. I don’t want it just in my writing. I want it in all aspects of my life. Whether I get it or not depends on a lot of factors, but I won’t stop aspiring to it. You see, I started this tomato plant last fall. I grew it from a seed. I actually grew two, but one died. This one has grown and grown over the course of the past few months until it has taken over our back window and the view. While it provides a nice shade from the southern sun, we had begun to doubt it would ever produce any tomatoes. I kept watering it. When it did bloom this spring, we still doubted there would be any actual fruit. Still, I continued to water it. Once it produced a number of tiny green tomatoes, my husband doubted they would ever actually ripen. My doubts gone, I continued to water and waa-laa! 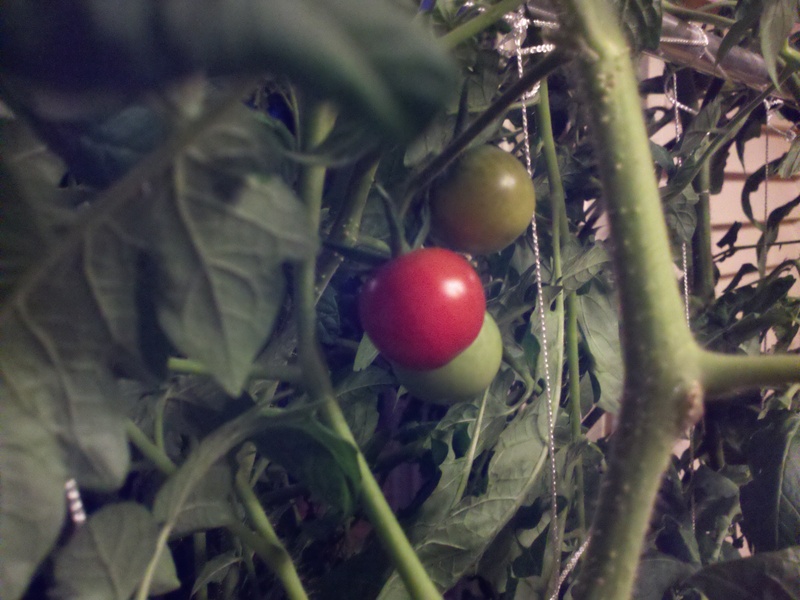 The first one ripened yesterday. I’ll take my victories (and my validation) where I can get them! This entry was posted in Thoughts by michellegflye. Bookmark the permalink.